At Majors Home Improvement, our window contractors are factory trained and highly experienced. We simply wouldn’t allow anything less than that for our customers in Pensacola, Florida. This is because we place a strong emphasis on our professionalism and expertise, and our contractors bend over backwards to make sure our customers are happy every step of the way. Between exceeding the industry standard for installation to leaving behind a clean home when we’re finished, we’ll go the extra mile for you. This commitment to our customers has helped us earn an A+ rating with the Better Business Bureau and a five-star rating with GuildQuality. Another benefit of partnering with Majors for a window installation? Protection for your investment. Our windows are backed by our exclusive double lifetime warranty, safeguarding both the product and the installation. 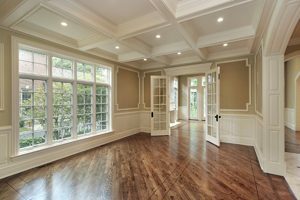 If you’d like to work with our window contractors for a window installation at your Pensacola, FL, area home, contact Majors Home Improvement today.